This super powerful in-line fan is perfect for direct duct connection. All metal galvanised body means the fan will last under hard wearing applications. 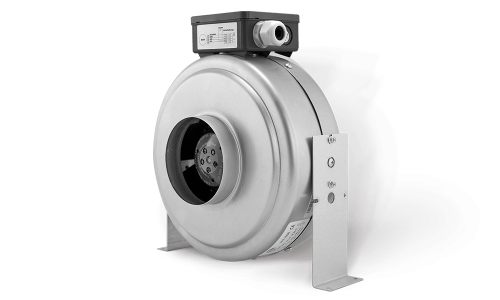 Backward curved impellers create a strong reliable airflow and a stall free performance. Available in 6 models to suit 100 to 315mm duct.